We understand the importance of engaging children in interesting and meaningful hands-on learning experiences in a safe, secure and loving environment. 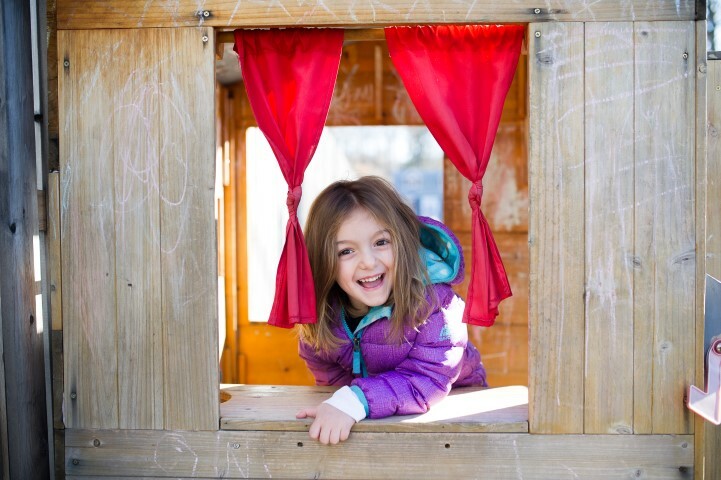 Our early childhood program for infants through Pre-K focuses on engaging curious little minds through carefully crafted curriculum of educational and fun activities that nurture a love of learning. 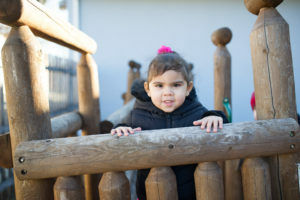 Owned and operated by an educator and mother of three, Evelyn Street Day School is based on a passion for helping children achieve success and gain confidence. Learn how to get up to $100 off each month! Tour and enroll within two weeks of your tour and receive $100 off your monthly tuition for a year (a $1,200 value!). Tour and enroll within a month of your tour and receive $50 off your monthly tuition for a year (a $600 value!). Must enroll full time to qualify for $100 off. May enroll part time to qualify for $50 off. New families only. Must note this offer upon enrollment. Call (201) 523-9555 if you have questions. It’s simple: Become a corporate partner, tell your employees about us and if they enroll a child they will get a 15% tuition discount. That’s 5% more than most places. Have your HR Department reach out to us today. Or, if you are an employee, tell your boss about this offer. Call (201) 523-9555 for more information. Open house times: 9:00 a.m. to 11:00 a.m. or 3:00 p.m. to 5:00 p.m. Come by at any of the listed times, no need to schedule an appointment. We are open year-round Mondays through Fridays from 7 a.m. to 6 p.m. (6:30 p.m. if needed). If you are not completely satisfied with our center after one month we will return your security deposit and there will be no obligation to continue another day. My son has attended ESDS since its opening. The transition was seamless and I always felt confident that he was learning and very well cared for! Devin is now in the Pre-K program and is growing and learning everyday. We are so incredibly thankful we found this program when we did! He’s more than prepared for kindergarten! We loved it so much we decided to start our younger daughter just before she turned 2. Her progress and growth has been amazing! She and Devin love to read, engage more socially and love going to school! I don’t have enough good things to say about Lucy, the owner, and her staff. They are incredible and have gone above and beyond from day one. Editor’s note: Tami’s third child is now enrolled at ESDS. The school is so much more than a daycare! My son has been going to Evelyn Street since he was 12 weeks old. He is now a happy and thriving 18-month-old! This place hits all of my must haves for a daycare and then some!!! There are cameras, a secure entrance, its clean, its organic, its big and most importantly it has amazing staff. People who truly care about my son. Ms. Lucy, the director, is an angel! She is so open, friendly and constantly communicates all changes! Everyone here has become my son’s family. My child has been attending Evelyn Street Day School for eleven months now and it is the best choice I have made as a mom yet. Not only has my son flourished developmentally but I know that he is safe, learning and having a ball with the staff and his classmates. The directors and teachers all make me feel at ease when I leave him in their care. That peace of mind is priceless! My daughter attended Evelyn Street and now my son does. The care and love they receive here is beyond measurable. It is a top notch school that really prepares your child for kindergarten. The teachers are amazing! The teachers’ attention to detail is outstanding and genuine care for the children is so clear each and everyday. Lucy and her team are truly an extension of my family and I am so grateful to have found Evelyn Street Day School. Join us for fun, lively music — the perfect way to start a Saturday. The program is 8 weeks at $135. Class goes from 10:30 to 11:15 a.m. March 9 to May 4 (no class on April 20, Passover and Easter weekend). Ms. Ildiko, the Evelyn Street Day School music teacher, will lead the class. Parent participation is required (either parent may remain and taking turns is fine). Call (201) 523-9555 to apply or for more information. Thanks! Featuring several presenters on topics of interest to parents: a nutritionist, speech therapist, financial adviser (think college planning) and insurance broker. Children welcome. Will open with music and arts and crafts for the little ones while parents tune in to the experts. Refreshments served. Goody bag giveaway. The event will take place on a Saturday to be announced in March. Please call 201-523-9555 if interested.